As a special treat, this film on a project Dr. Deming did with Pontiac. In addition to the film, what follows is the beginning of one of the most important speeches in modern management history, given at the Hakone Convention Center in Tokyo, August of 1950, with 70% of all Japanese industrial leaders in the audience: the birth of the Japanese Miracle. So much of modern management began here, aspects of which morphed or were copied with varying success and detail into BPM, 6 Sigma, Agile Development, Lean Startup, Lean Manufacturing, Customer focus, Coaching and more. 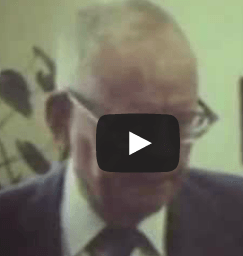 Though Dr. Deming is not well known to many people anymore, those working in successful businesses are working in system touched by what he taught first, in fact, this speech could have been given anywhere, yesterday. The opportunity to speak with all of you is my greatest honor. I will not give a sermon on statistical techniques. I leave that to the statisticians. Henceforth I shall speak of the truly important problems of manufacturing and sales, the statistical techniques which are helpful in the solution of these problems, and how all of you can use these techniques. Afterwards, I will answer your questions. The problems and methods I will now discuss are extremely important to both Japanese and American manufacturers, as well as those of England, New Zealand and other countries around the world. First of all, I am not a miracle worker. I am not an economist, or an expert in business sales or research. Neither am I a manufacturer. However, I firmly believe that statistical techniques and associated practices are useful to all of you. As a statistician, while being in close contact with the problems that all of you encounter, I have had the honor of doing research about those problems with statisticians, salesmen and other experts from diverse groups. Such groups include manufacturers, economists and technicians, as well as university professors and the world's largest, most successful trade associations. We all have our different perspectives, but I believe that we can solve the various problems facing modern Japanese manufacturers through cooperation. Of course, you all have heard about statistical product quality administration before. However, if you do not understand it, or if you do not support your sales researchers, statistical product quality administration is not useful and your business will not be able to expand. I must point out that I do not mean it would be good if you were simply to sell factory products. These days it is not enough only to sell goods. Next year, if you have that concept you all probably will want to sell a lot, or at least as much as you can. The English word “marketing” does not just mean sales; it is in fact a science, the science of knowing such things as: what the people who buy these products month after month think of them, whether they buy them again, and the reasons why.